A Twitter buddy (@RobbTrost) shared this column (http://nyti.ms/thij4A) from today’s New York Times. While the column focuses on a forprofit company, the concepts apply to associations and other nonprofit organizations. 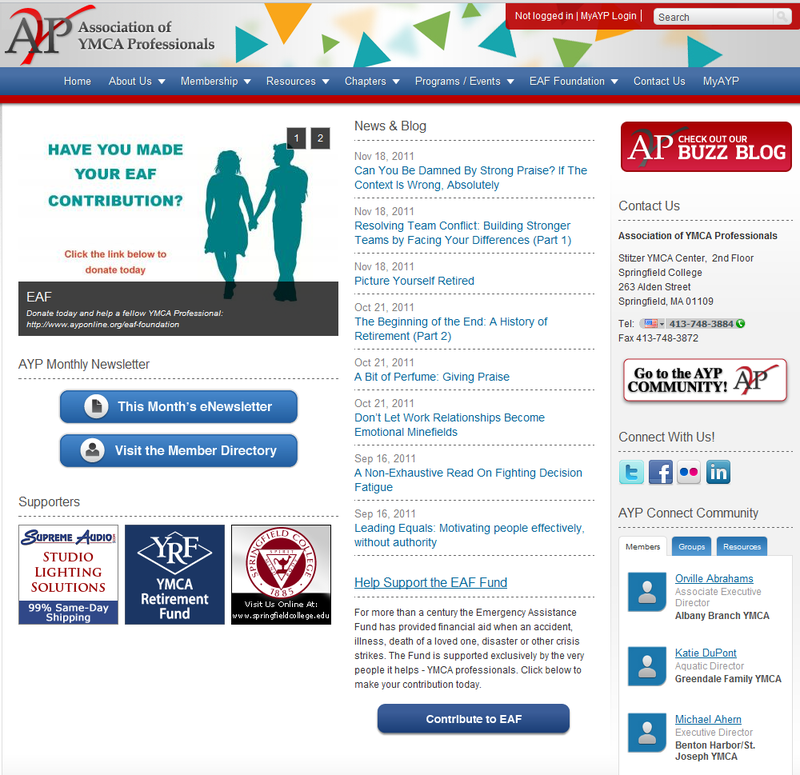 In doing communications audits and other consulting for associations and nonprofits over the last two years, I’ve seen some really bad association websites! Most are simple “electronic brochures.” Few post anything new between conferences, if then. So, I shouldn’t be surprised at the responses to my questions on electronic surveys I have conducted for 12 associations in 2011. The answers: Nearly three-fourths (72.2%) say never or only occasionally! 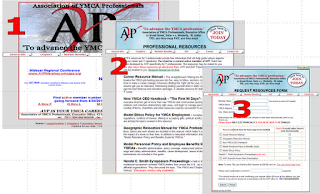 What does this tell us about our association and nonprofit websites? • We don’t see our website as an important communications or marketing tool? • We don’t care that so few are paying attention to our website? • We don’t see our website as part of an overall association engagement strategy? Can change make a difference? 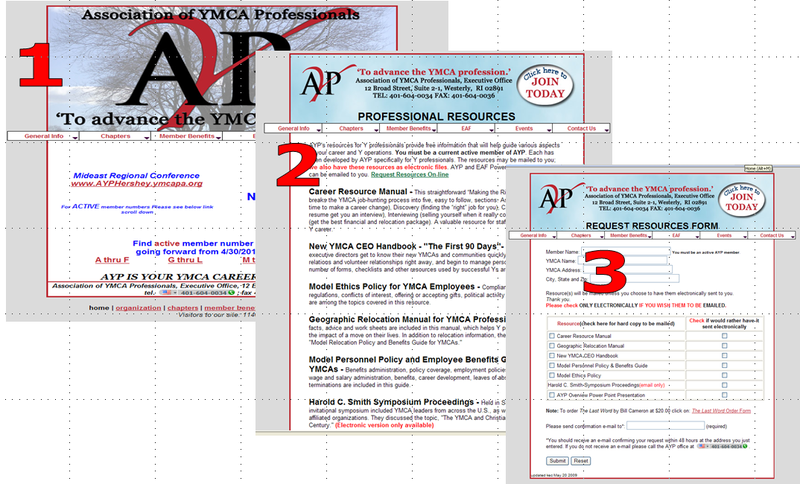 Here’s a before & after look at how one association moved from a (#1) static website that included (#2) “brochures” (with no links) and a (#3) “request form” that had to be completed and faxed to the office. 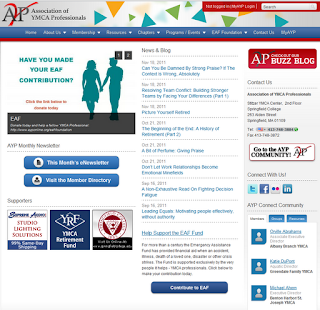 As you can see on the left, the new website (www.ayponline.org) is interactive and includes links to an eNewsletter, news and its blog, an interactive member directory and a whole lot more. By the way, Donna says they are already moving forward with plans for another web update ... to make it more pleasing to the eye! Where does your organization’s website stand? As you read this New York Times column (http://nyti.ms/thij4A) (which is focused on a company’s website and an online contest designed to boost traffic to its website, please substitute your association or nonprofit “products and services” for this company’s objectives. • When selling online, there are three things you have to do: make people want to buy your product, create a level of trust so people will be willing to buy from you and make the buying process as simple and intuitive as possible. • A website and its marketing and promotion are a reflection of the brand behind the site. Wonder what your members/donors would say about your website and other social media efforts? If you want to know, I’ll send you a link for the survey (which you can email to your members/donors) and will give you the results (compared with the other associations) along with an analysis. Interested? Just email me at steve@scdgroup.net.